When I first read the summary for Freedom’s Child I have to say I wasn’t too sure as to whether it was something I wanted to read. It’s a review copy and, as I don’t read many review books, I try to make sure they are ones I really want. It’s hard to say why I wasn’t sure about this at first but it just didn’t appeal to me all that much. Then I checked it out on Goodreads and saw that it was getting good reviews – plus a few not so good ones and I became intrigued. It seemed like it might be one of those books I would either love or hate. I have to say I loved it, though I can see why not everyone would. From pretty much the first page, it was different and that was great – really refreshing. Freedom is completely off the wall. A drunk, more than a little free with her fists when it comes to the bikers that hang out at the bar she works at, and completely unapologetic about her disaster of a life. She has lots of secrets, which she doesn’t seem to be too good at hiding – including the fact that she’s in witness protection after turning her brother-in-law in for killing her husband. Then there’s the two children she regrets giving up for adoption, one of whom (her daughter Layla), has gone missing. 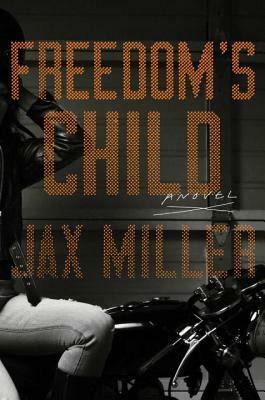 Determined to find out what has happened to her daughter, Freedom steals a motorbike and heads to Kentucky where Layla was last seen – trying to avoid her brother-in-law, recently released from prison, and the Marshalls who are supposed to keep her safe as she does. To say her trip goes smoothly would be a lie and Freedom is partly to blame for that because she doesn’t seem to be able to make too many good decisions – in fact, most times she seems to make the wrong one – but there is something so honest in what she does that I found myself cheering her on and hoping for the best for her, even when I wasn’t sure that was where the book was going to end up. Getting there was a real ride (sorry, had to say that given there’s a stolen motorbike) and the pace of the story never lets up. There really isn’t a moment to take a breath and think about what has happened because something else is already happening. That is one of the reasons I liked it – it kept me turning the pages. Plus, I liked the style of the book and Freedom herself, despite all her flaws. She is an original and so is this book. I think Jax Miller (this is her debut) will be one to watch and I will definitely be reading whatever she brings out next. Loved it! Note: I received this book in return for a fair and honest review from blogging for books. All thoughts/opinions are my own. Freedom sounds like a great character! She really is. Totally unconventional.